Phee still sleeps with a pacifier. Or, I should say, pacifiers; one in her mouth and two in her hands. She swaps them out as she's falling asleep and will sometimes wake up in the middle of the night simply because she cannot find one of the three. In fact, the other night she was crying and Doug went in to find just that situation. He couldn't find it until Phee, without moving, pointed it out to him, just beyond her arm's reach. We're still not sure how she saw it in the dark. When we moved Phee into a twin bed, we got a a nice bed frame. Something I hadn't considered was how that frame would lay against the wall. 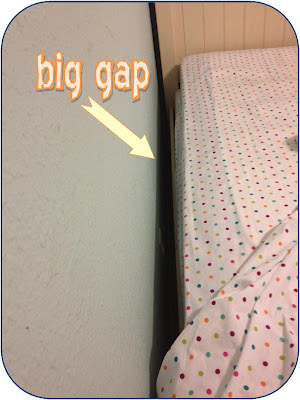 I was slightly dismayed to find out that the posts on the headboard and footboard make it so that the mattress itself sticks out from the wall a few inches. Big picture... it's not really a big deal. Right now... I'm fishing pacifiers out from under the bed every week. And then I came up with an ingenious solution. 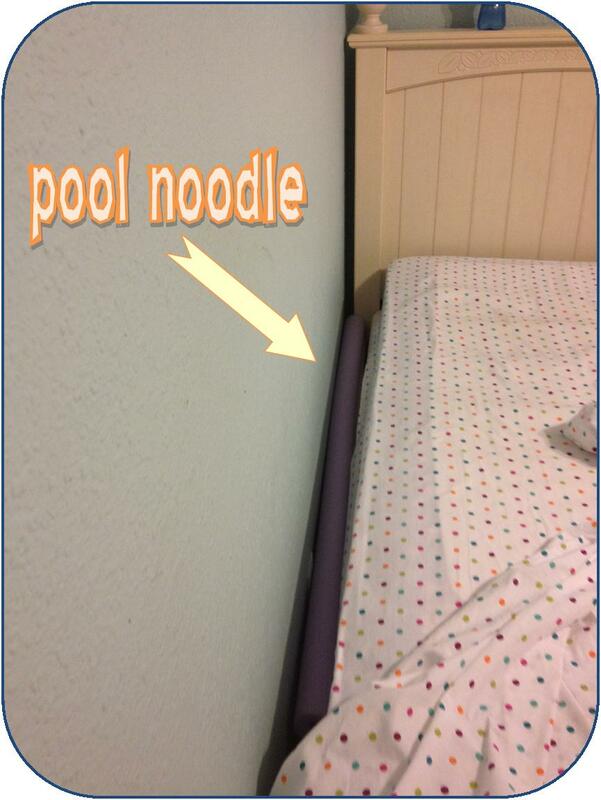 Pool noodle. I fished all the pacifiers out tonight and got the bed put back together. 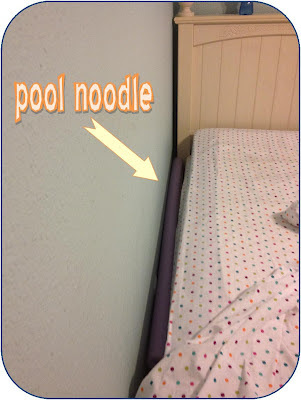 Then, I stuck a pool noodle between the mattress and the wall. It's just big enough to cover up the crevice between mattress and wall and it's nearly the length of the mattress. It will be much easier to find those pacifiers in the middle of the night now. And I won't have to wiggle around on the floor trying to wedge myself under the bed far enough to reach dropped pacifiers with kitchen tongs. My back is already thanking me.